Inspired to look swift, bold and fast, the two toned striking design wowed guests upon arrival at the W Vieques Hotel in Puerto Rico. 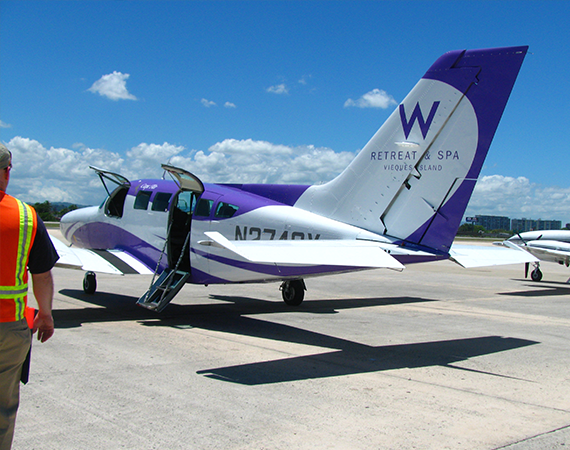 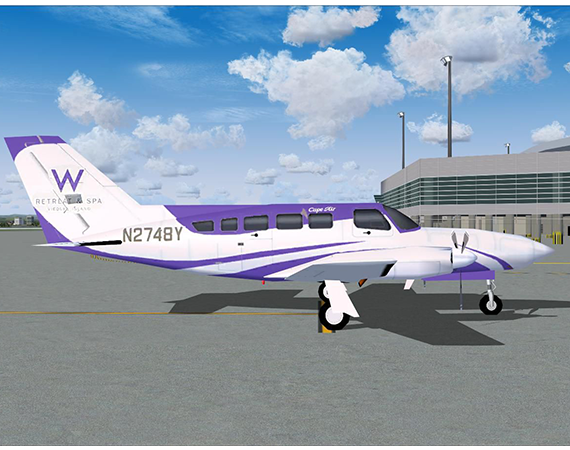 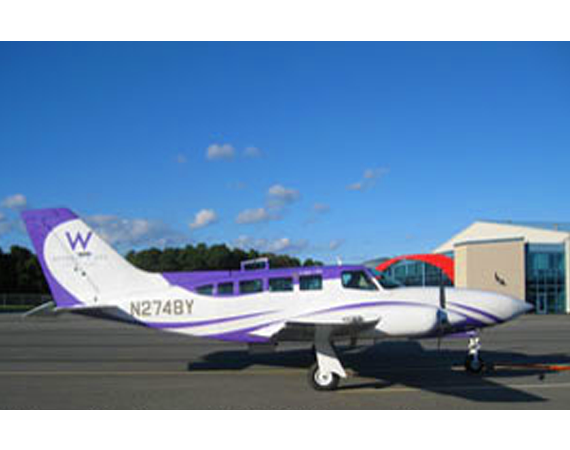 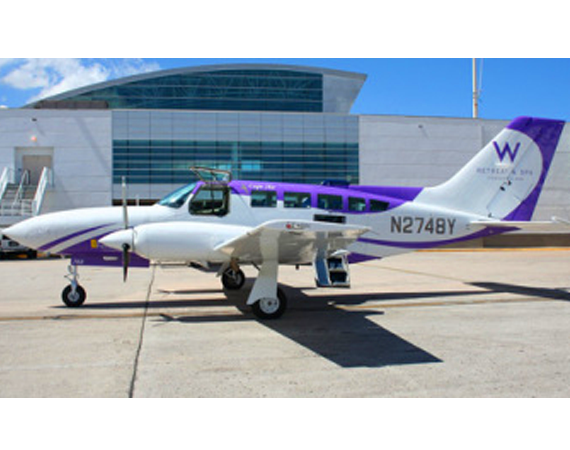 The commuter carrier Cape Air airplane is a nine-passenger Cessna 402 wrapped in the colors of the W Retreat & Spa-Vieques Island, Puerto Rico. 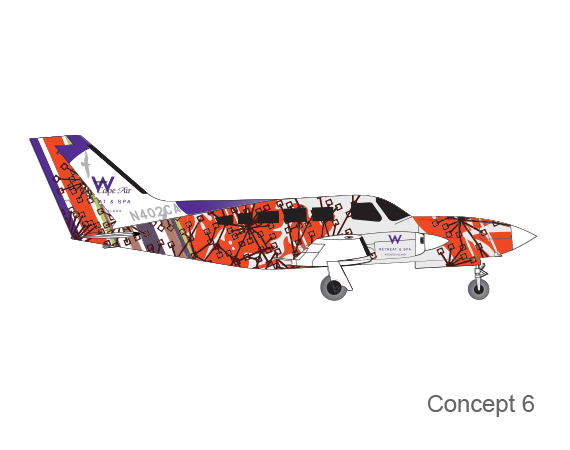 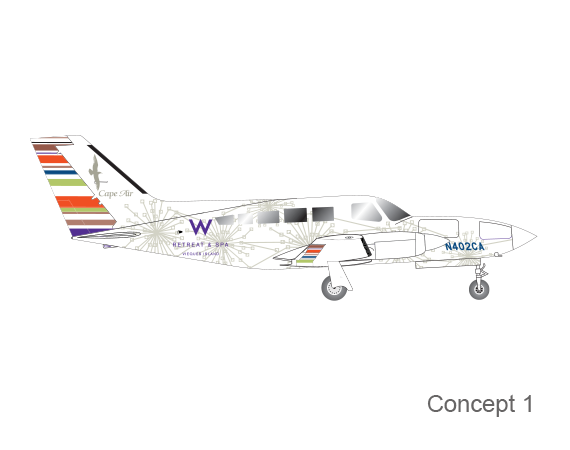 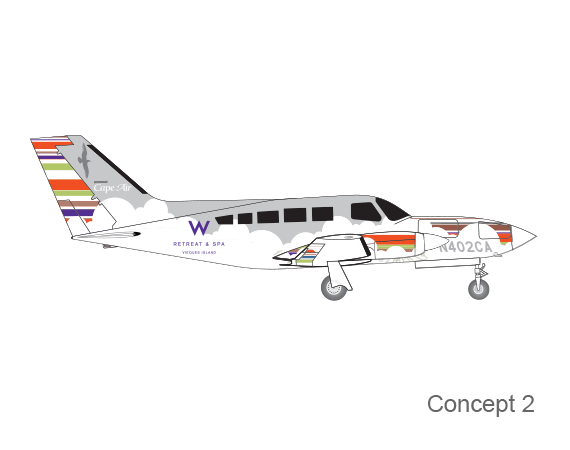 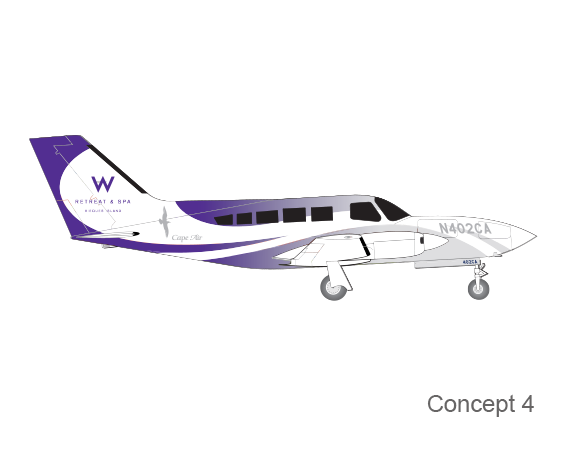 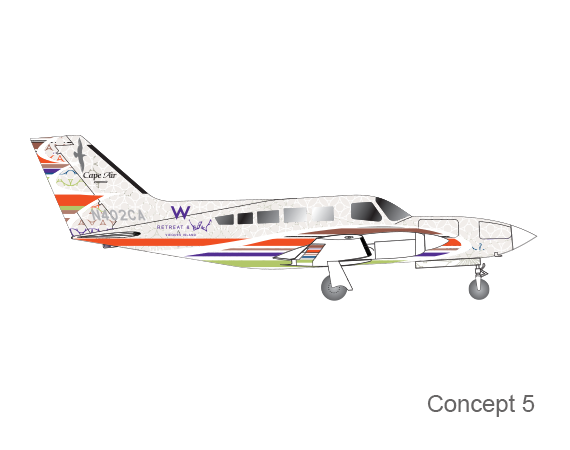 The co-branded aircraft offered W Hotels an opportunity to promote the W Vieques resort. Eight different concepts were designed before concept # 3 was decided would be the winning livery.